Korean Air has been was awarded the prestigious accolade of Asia’s Leading Airline First Class, for the fourth year running, at the World Travel Awards Asia & Australasia Gala Ceremony 2013. Voted by both travel professionals and consumers worldwide, the World Travel Awards represent the ultimate achievement, recognised globally as the foremost acknowledgement of excellence in product and services. The award was received by Korean Air’s general manager for Middle East & Africa, Kwangyeol Lee. He said: “Korean Air is delighted to have been awarded this mark of distinction by both consumers and our peers in the travel and tourism industry. “We are gratified that our service is continually recognized as delivering excellence in flight and service to our customers. Korean Air’s First Class cabins feature the famous “Kosmo Suites” which are spacious and comfortable seats that can be a living room, bedroom, theatre or office. The polished wood finished 26.5 inch wide seat converts into a 79 inch long bed and with 83 inch space between seats, maximum comfort, freedom and privacy is guaranteed during the flight. Each of the Kosmo Suites has a 23-inch LCD monitor and an AVOD which lends a better viewing experience to passengers whilst sitting comfortably in their seats. WTA president Graham Cooke said: “Korean Air has set a new benchmark for in-flight luxury. 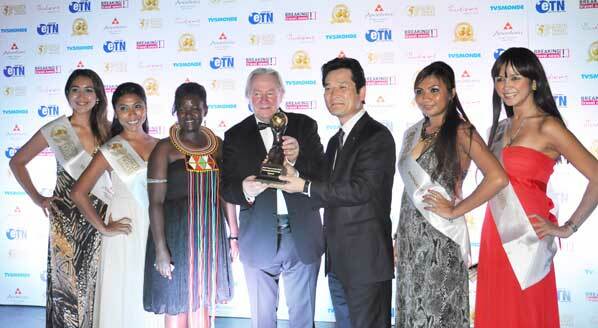 The 2013 winners of the Asia & Australasia World Travel Awards will be announced at the annual Asia & Australasia Gala Ceremony to be held this year at Anantara Dubai The Palm Resort & Spa, Dubai on 1st October.